Art can engage, inspire, and transform. With that in mind, we continually strive to reach diverse and multigenerational audiences in our community. Art Can is a bimonthly program that brings adults with memory disorders and their caregivers together in new experiences with art. 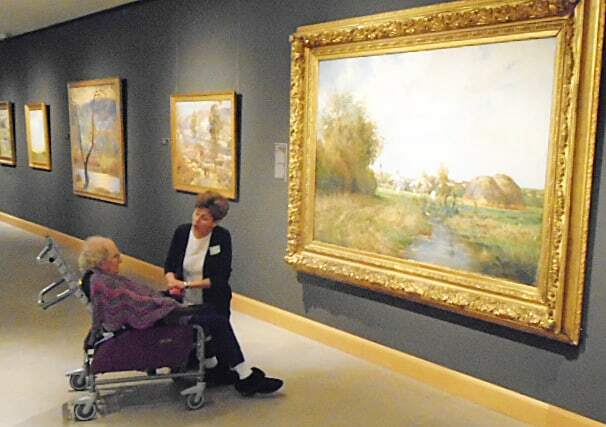 The Museum’s Art Can program invites participants and their caregivers to share ideas and stories inspired by works of art in our galleries. Through these discussions and reflections, art can open a window to creativity, expression, and wellbeing. To register or for more information contact Abby at 610-432-4333 x133 or asimmons@allentownartmuseum.org.